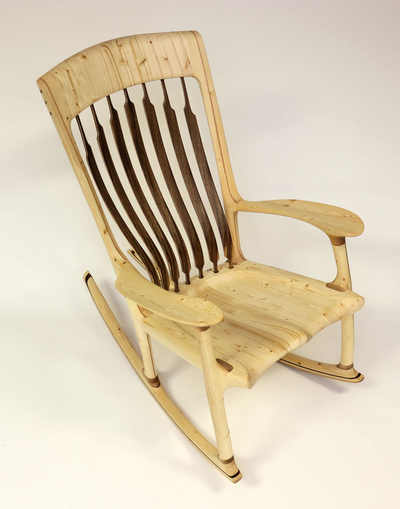 This chair has been made from 2X4s I purchased at the Lowes in Harrisonburg, VA. I have reinforced the various parts with a little ash as I thought judicious. 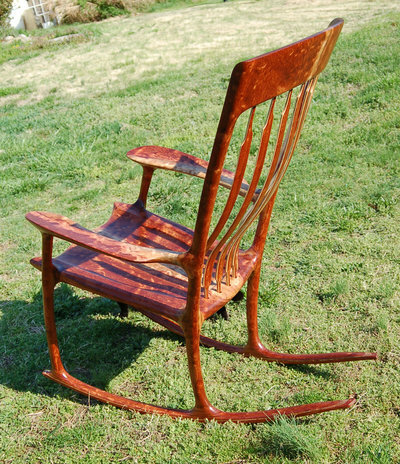 Thus this chair will last for generations just as all of my chairs do! 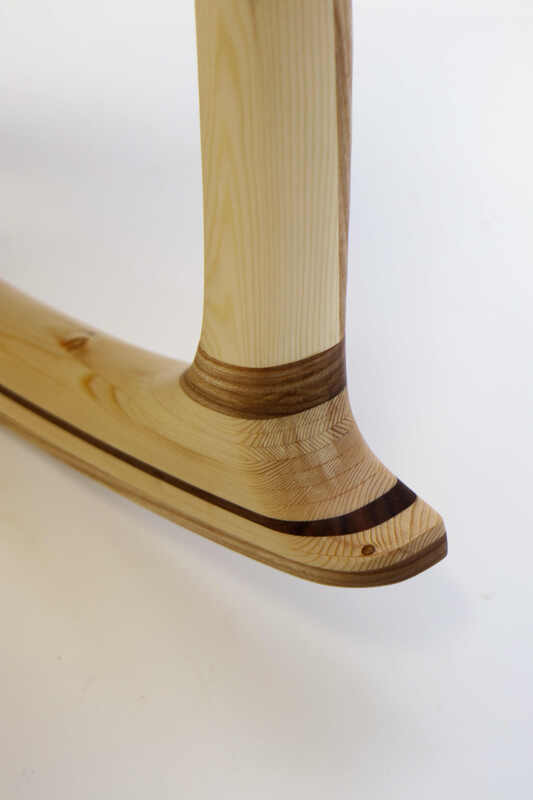 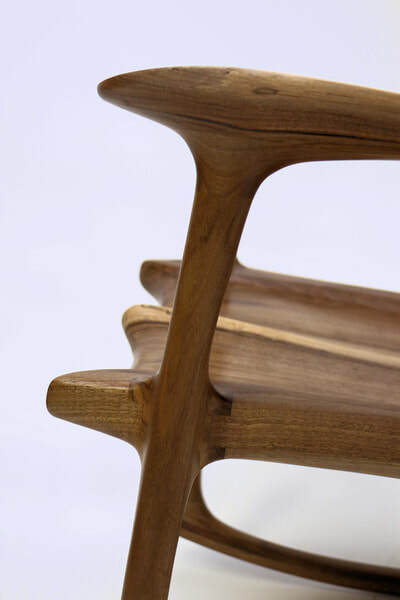 The back braces have been fabricated from English walnut and ash as they are flexible and need a good bit of strength and flexibility. 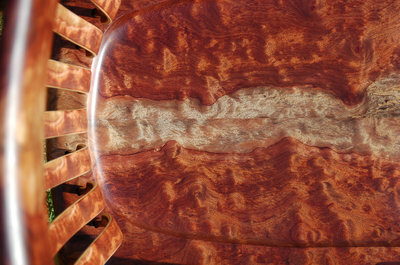 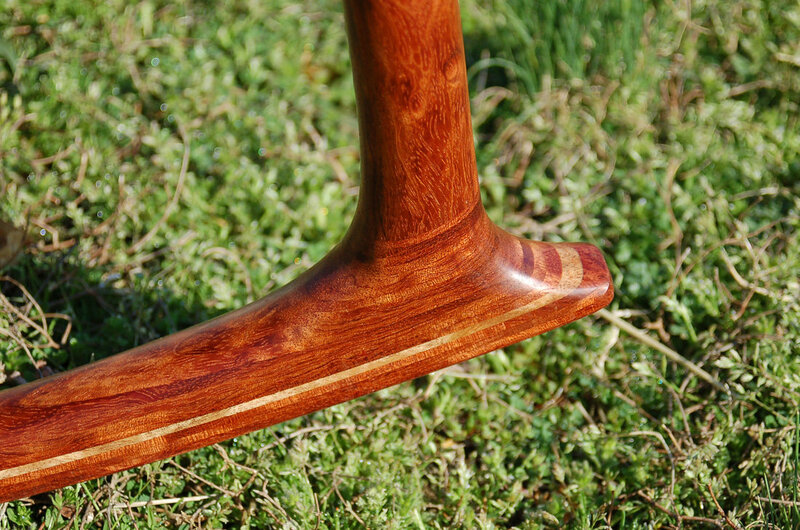 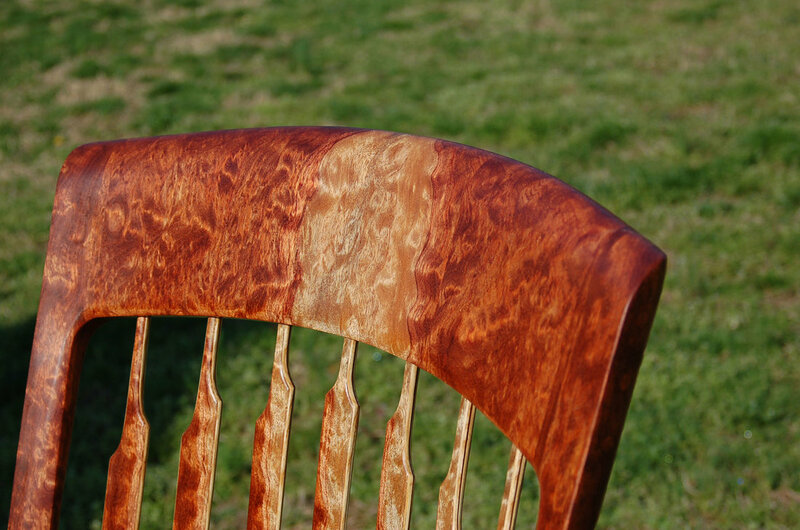 This is a Waterfall Bubinga rocker I made previously, BUT I have more wood exactly like this ready to be made into a rocker to fit you perfectly! $11,000. 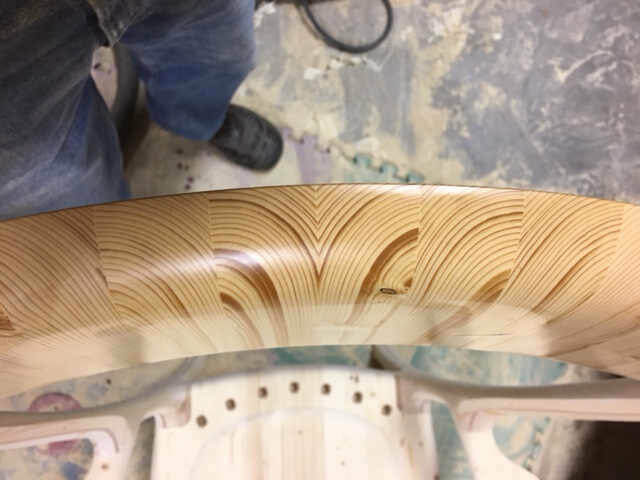 I paid $4,700 for this wood! 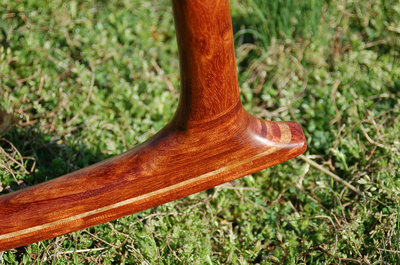 These are some quick shop photos, I will take some better pix soon! 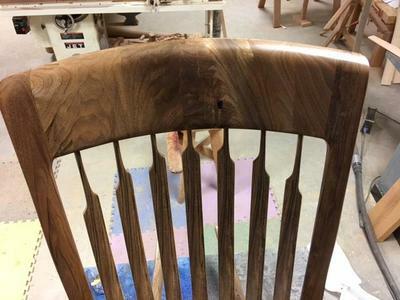 These are some quick photos I took immediately after wiping the finish down. 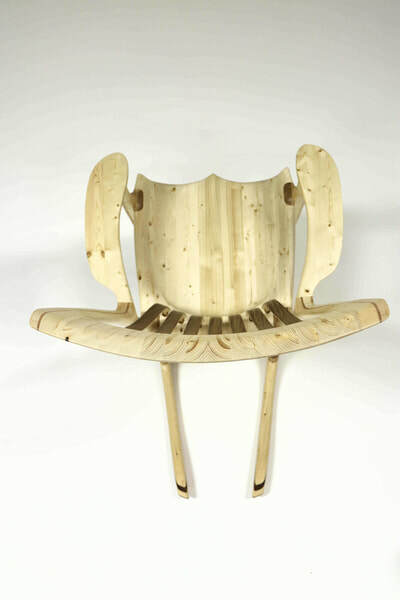 I can ship this chair anywhere in the continental US for 500 dollars and most places in the world for around 1,000 dollars. 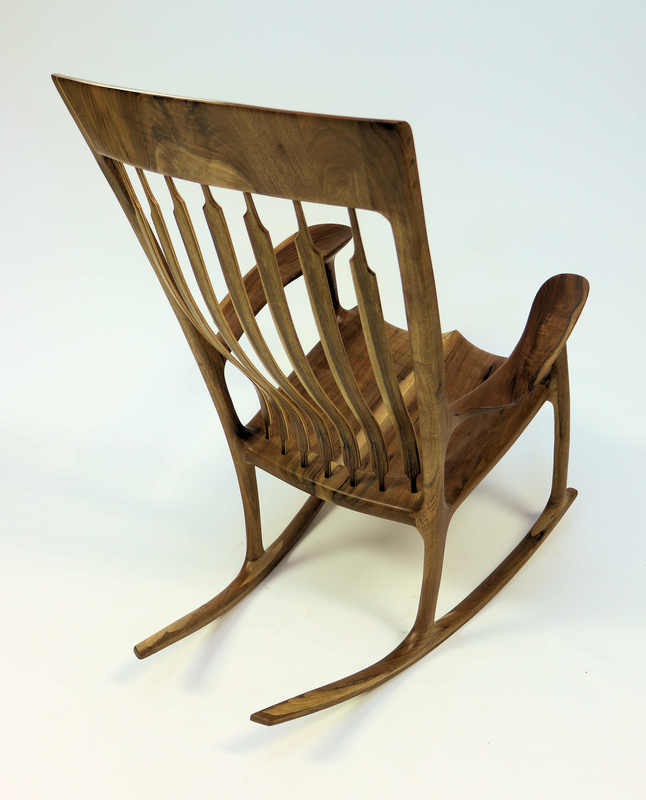 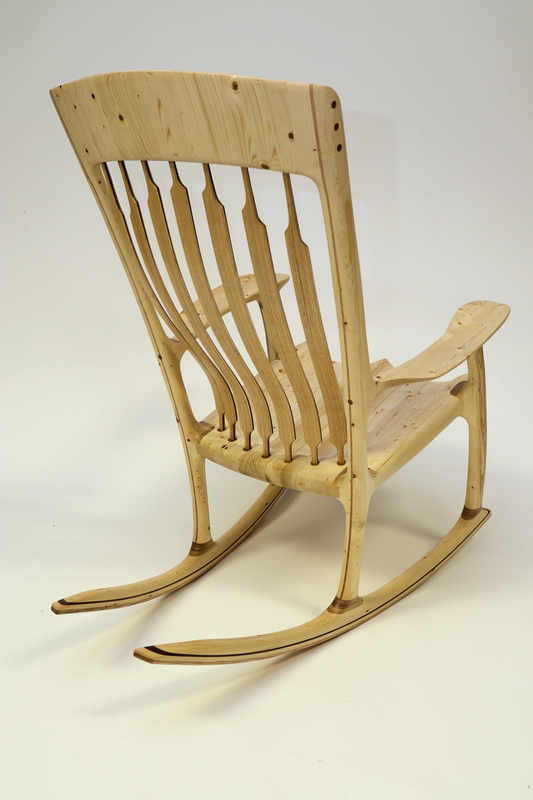 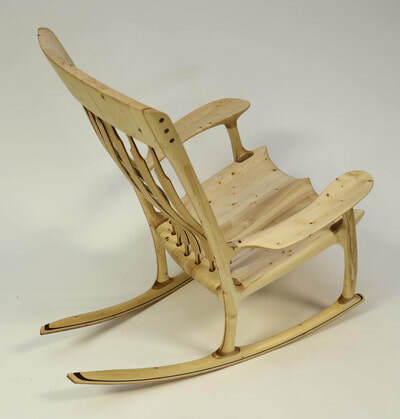 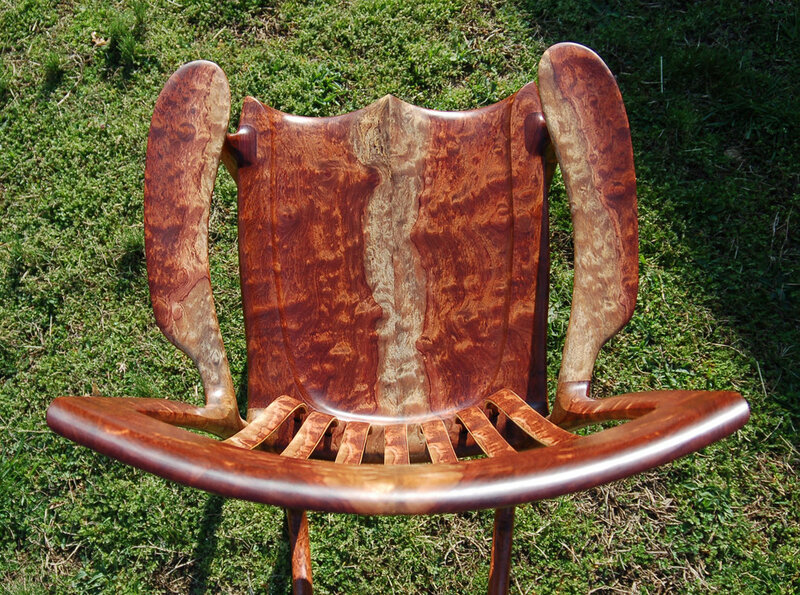 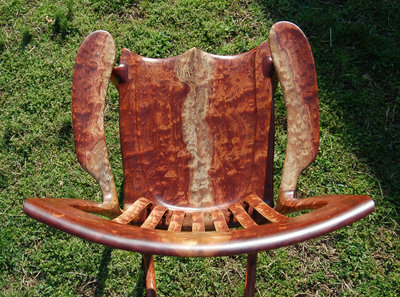 ﻿SOLD ﻿- The George Washington Rocking Chair was made from a tree which was removed from George Washington's Mount Vernon Plantation in order to restore George's distillery. 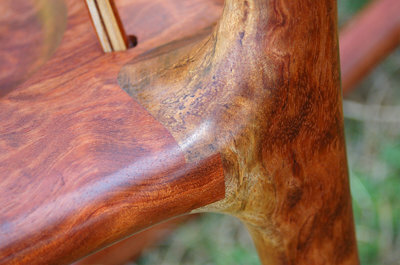 The tree was alive when George walked the earth and as such has significant historical value. 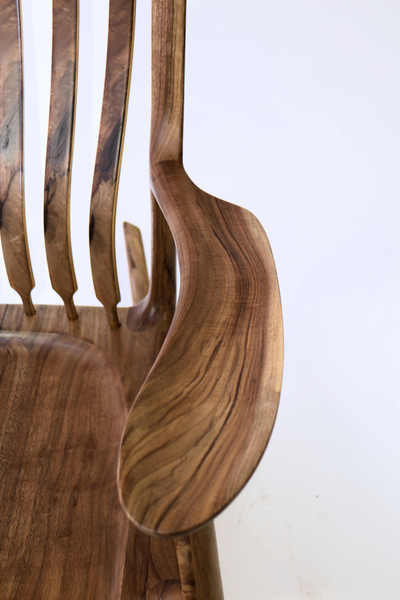 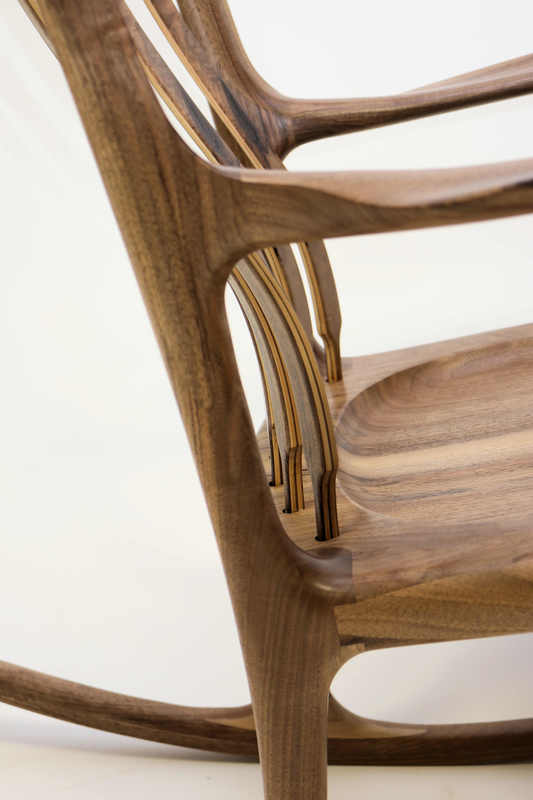 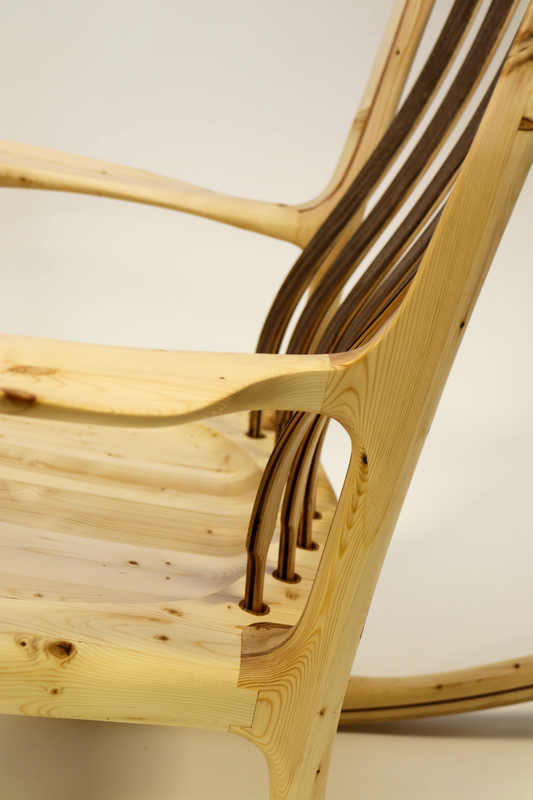 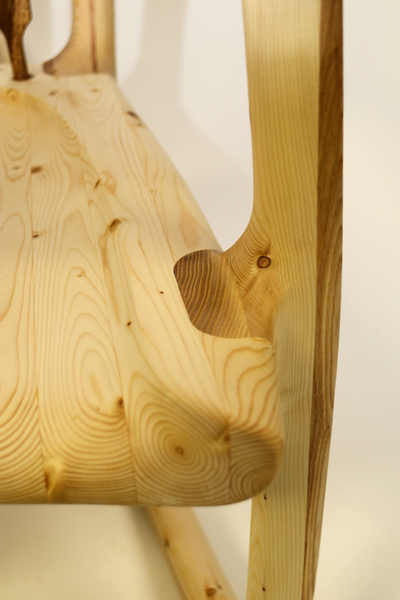 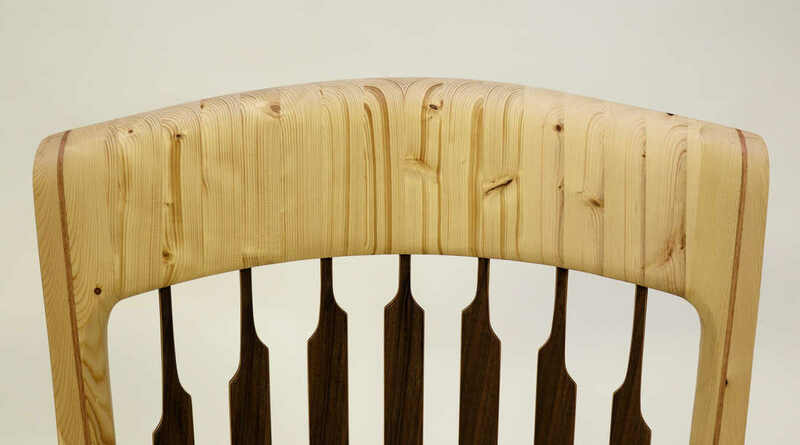 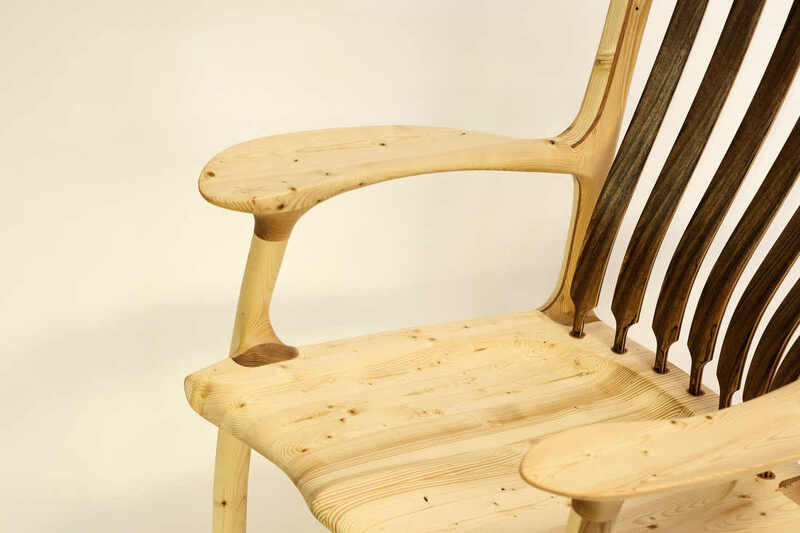 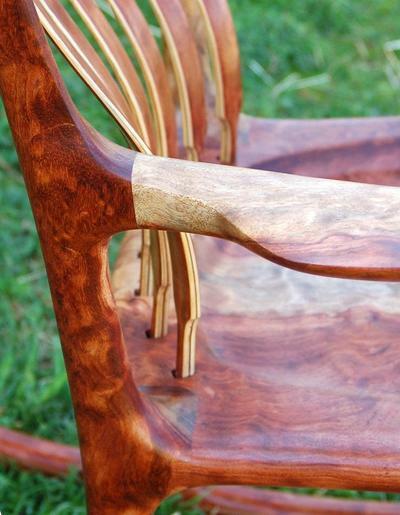 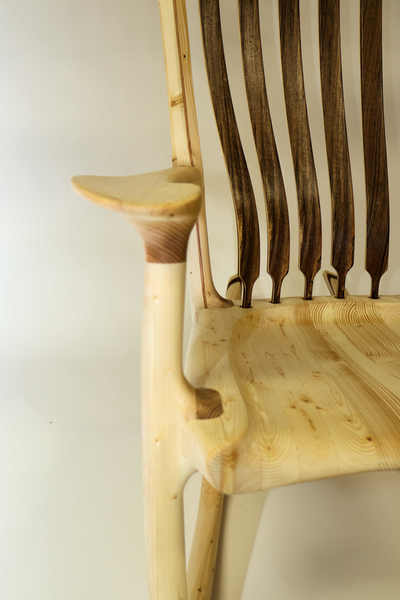 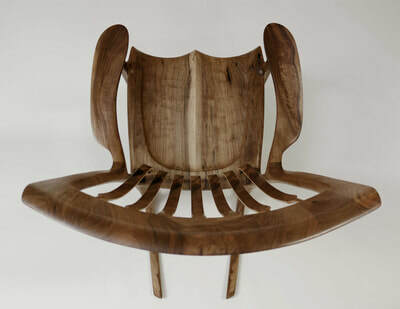 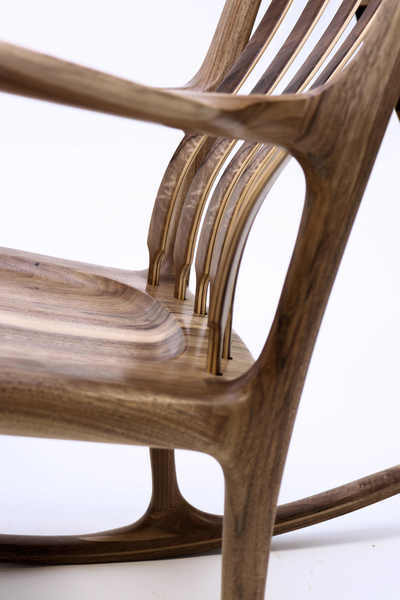 The price for this chair is $20,000 (the wood cost a LOT of money!) 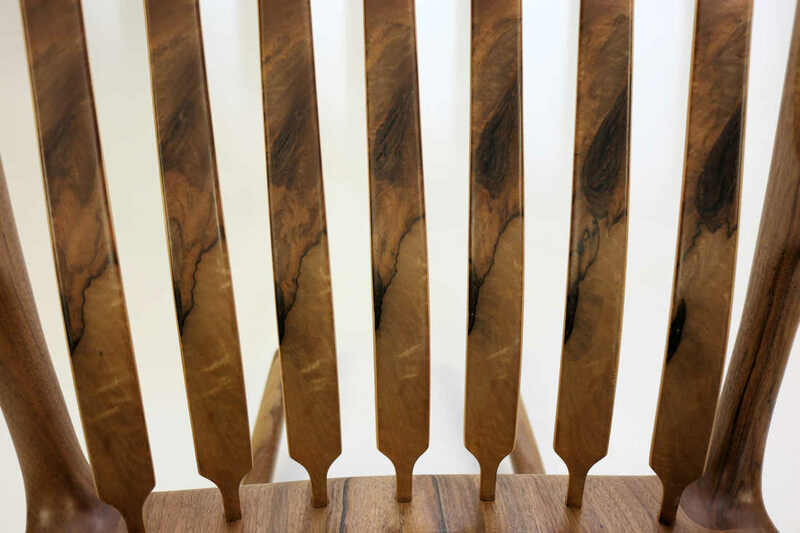 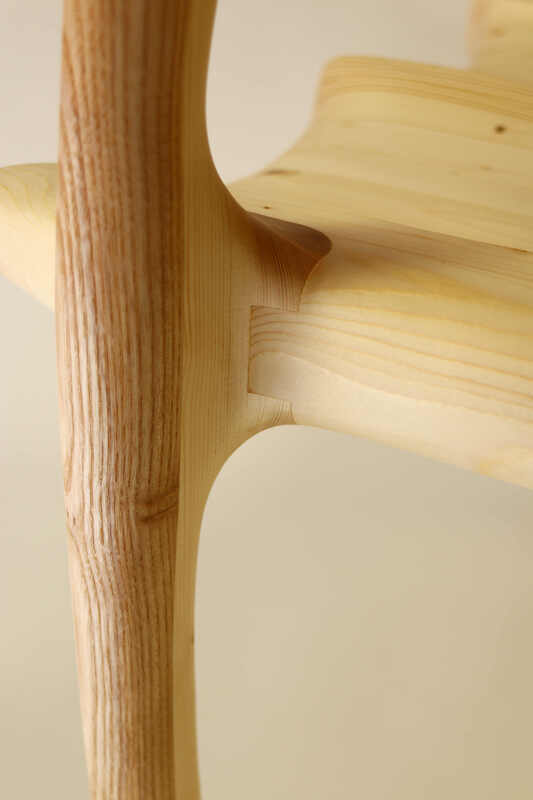 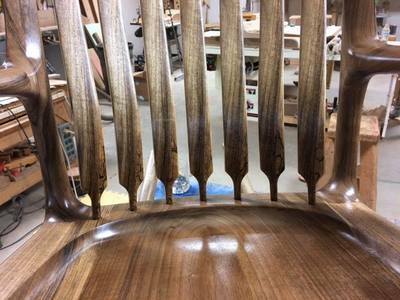 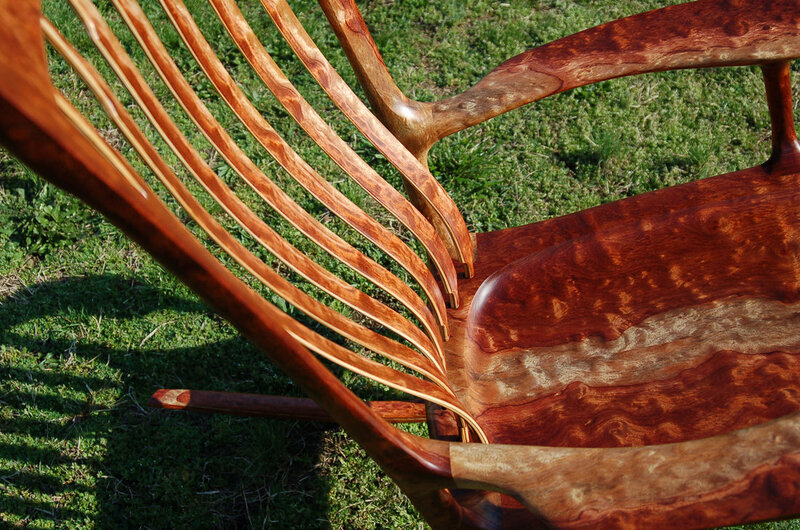 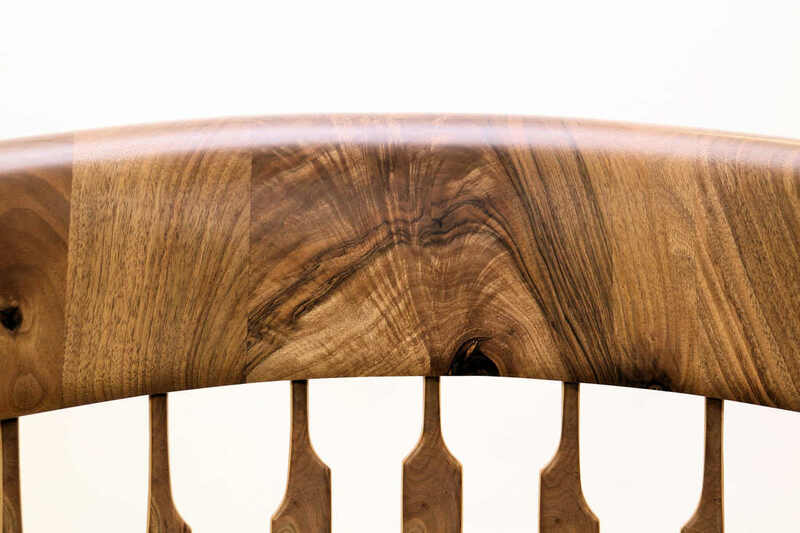 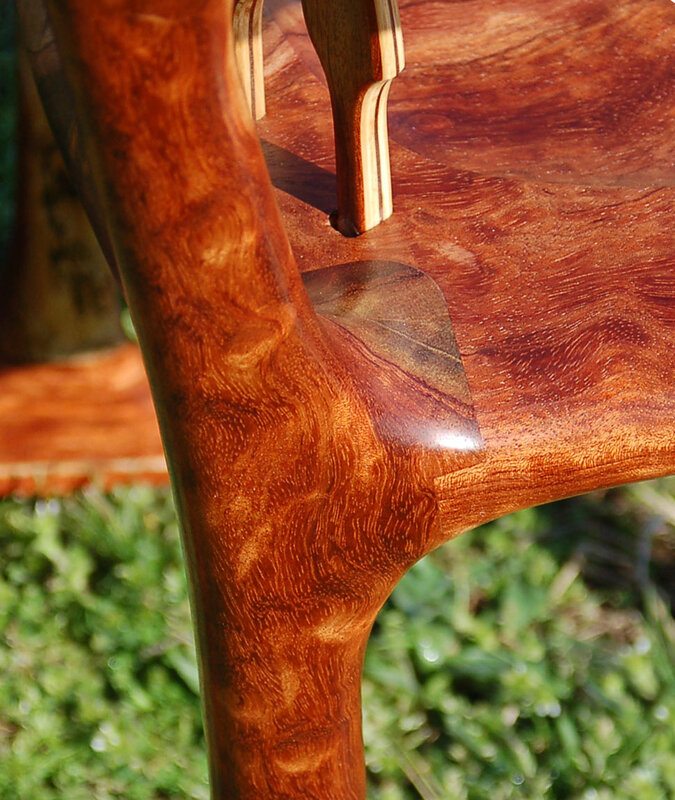 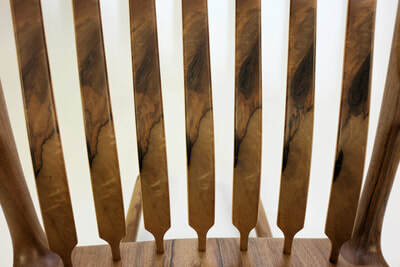 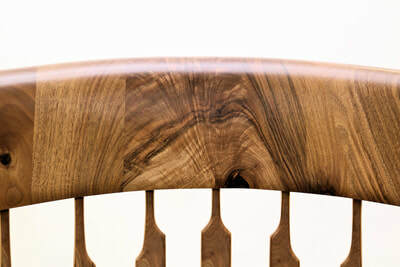 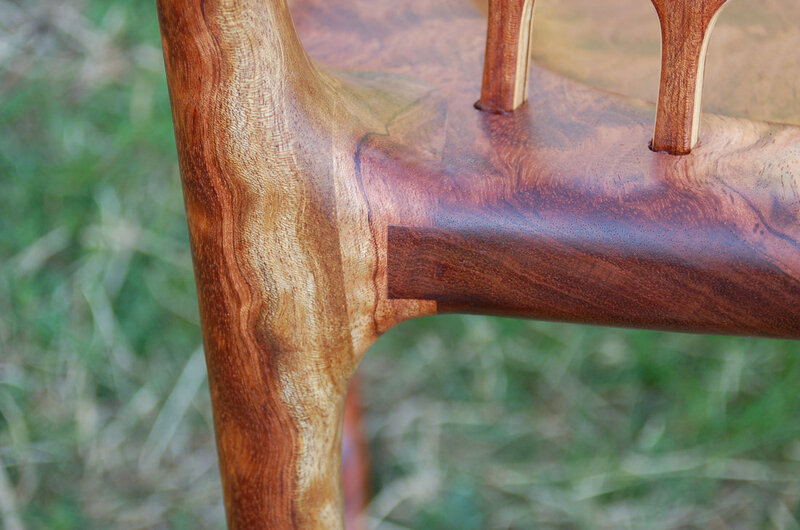 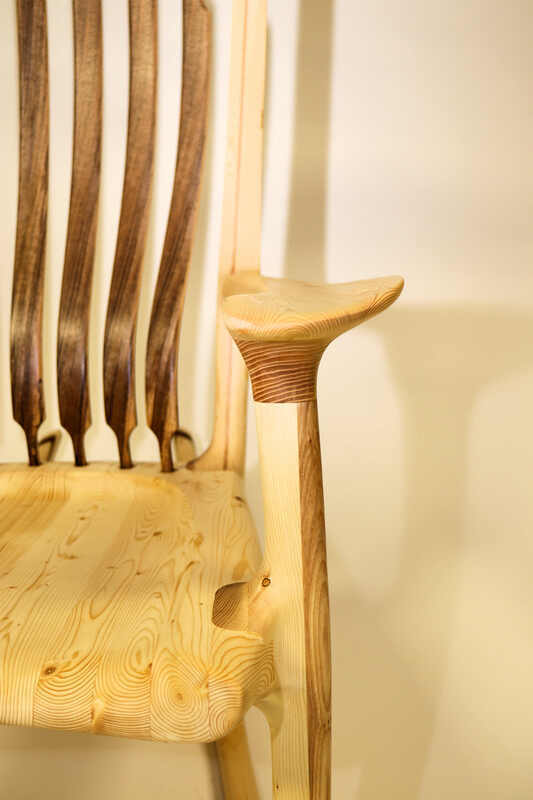 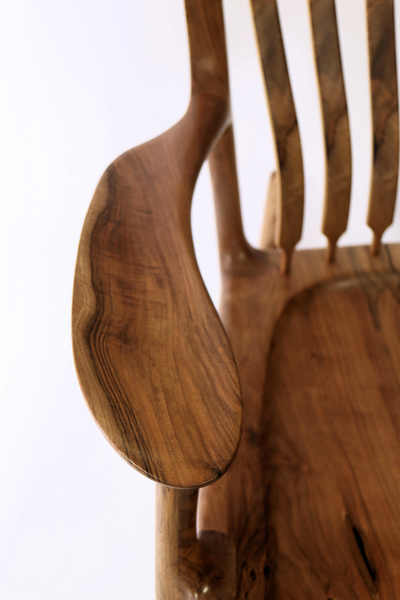 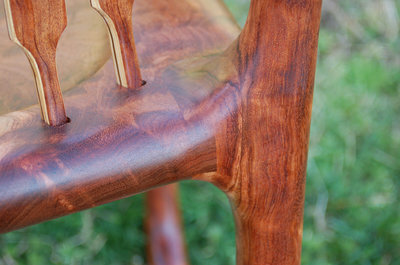 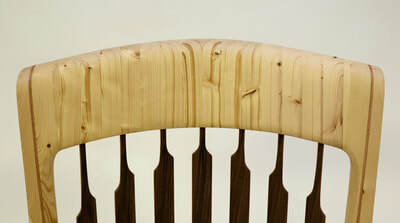 There is only one other chair made from this wood and it belongs to a fellow in North Carolina. 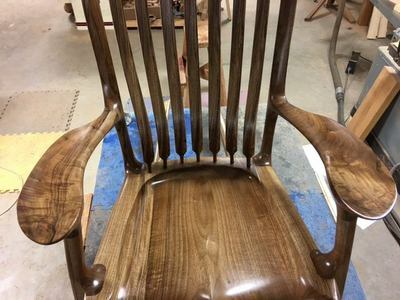 This chair is "one of two" and there will not be another.